From time to time most of us need some sort of weight control help. Maybe you have reached the stage where your clothes are uncomfortable or don’t fit at all, or perhaps you need some sort of diabetes weight control. On the subject of diabetes, I worked with a guy called Bill Budd when I was a youngster. He had taken insulin for his diabetes since the age of 10, rarely visited a doctor and maintained otherwise good health until his death at 72. Bill was a pretty regular sort of person although I found him inspirational. He was around 5 feet 7 inches and maintained a body weight of around 140 pounds throughout the many years I knew him. Bill took the trouble to choose the best foods for him and when he cooked at home he always weighed it. If he ate out, as we did on many occasions together, his eye was good enough to be able to calculate the correct portion size for him. So successful was Bill’s weight and insulin control that at one stage he did not visit his medical practitioner for 10 years. What didn’t Bill do? Firstly, he didn’t have any formal exercise plan and neither did he exercise in the conventional sense. Organised sport was not for Bill. He thought it a waste of time and couldn’t bear the thought of it. Neither did gym, swimming or running appeal to him. So what sort of exercise did he get? Bill didn’t own a motor vehicle and neither did he much care for public transport. The result was that he walked the couple of miles to work each day and walked home again. In fact, Bill would walk as much as was necessary and practicable. He didn’t walk for pleasure. Even country walks didn’t appeal to him, but if it was necessary to get somewhere and practically possible, he would walk. I relate Bill’s tale of weight control because it is simple and probably not one which is likely to occur to most of us. His success was related to constant monitoring of portion control and ample sensible exercise in the course of his everyday activities. In a nutshell, that is all any able-bodied person needs to do to keep to a sensible weight. 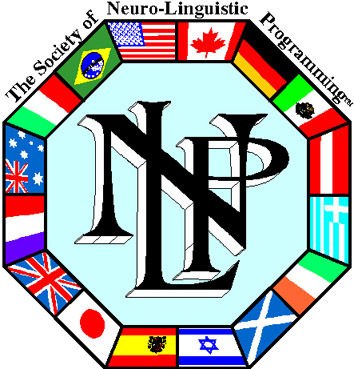 If you haven’t already done so, have a look at the principles of NLP modelling in other articles on this site. NLP modelling is based on studying what works for other people and using those techniques to achieve success for yourself. Often successful people don’t quite know exactly what they do to achieve the results they get. That is why it is useful to tell stories such as Bill’s. Bill didn’t set out deliberately to stay slim or exercise for fitness. All he did was control his insulin related difficulties in the best way he knew, and if that meant watching his portion sizes, that was fair enough. Who do you know who maintains a sensible weight and always appears to have done so? By all means ask them how they keep to a good weight for them, but also observe very closely what they do; it might be a little different from what they themselves believe. Clive Richards, another friend of mine, has maintained a wiry framework for upwards of 70 years, but if you met him at a party you would wonder how on earth he did it. His wife and mine worked together some years ago so the only time I saw Clive was at social gatherings, usually Christmas parties or to celebrate some other event to which we were both invited. I couldn’t believe how much food that man put away and why he was so slim. So when I got to know him a little better I asked him how he managed to maintain such a trim appearance. Clive laughed. He said: “Actually, most of the time I eat only very small meals so I achieve what I do by portion size. “But I do love parties. I don’t get to many of them but when I do I let myself go and eat as much as I want of anything I fancy. I don’t suggest that Clive’s way is the best way necessarily, but what it does demonstrate is that you can have a good time now and then provided you can discipline yourself sufficiently to eat sensibly and properly the rest of the time. Rob Farmer discovered that also. He is 5 feet 4 inches and not so long ago weighed 210 pounds. In other words, he was a rotund little fellow. He took advice from his local pharmacy where they ran a weight loss scheme of their own. There was nothing magic or unusual about the scheme itself. The important aspect of it was that Rob had to return on Saturday of each week to be weighed. Rob was quite properly told that no third party could make him lose weight. Ultimately it was down to him to decide for himself what he ate. It was suggested to him that no particular foods should be off limits, but he should use a smaller plate regularly and limit his portions. He was also advised to cut out or severely reduce his alcohol intake. Rob is following all that advice and, at the time of writing, has reduced his weight by 23 pounds. He realises he has a lot further to go to get down to his desired weight, but already he is able to wear shirts and pants that he wasn’t able to get into a short while ago and that in itself is proving a great incentive to him. Rob’s mind is concentrated because he knows that next Saturday he is back to his local pharmacy to be weighed. In case you are concerned about eating out often and how you will manage that, I can hold Rob up as a good example there also. Rob is an active mason and attends his lodge meetings every week. I asked him how he coped with three-course meals, not of his own choosing, and still managed to lose weight. His response was that it was quite simple. Firstly, he restricted himself to a small glass of wine purely for toasts. Next, he would always take the soup and main courses but whereas formerly he was tempted to take a pile of roast potatoes, now he restricted himself to two, and he would miss the dessert course completely. I hope the true stories of the people mentioned in this article will inspire you to realise that you can live a happy, normal life and achieve what you want by losing weight with portion control. Find someone to be accountable to for your weight each week. Don’t weigh yourself until then. Eat moderately. Take sensible exercise for you, whatever your physical shape and age. Don’t overdo it and take medical advice if necessary.